One year later - how are we feeling? Re: One year later - how are we feeling? Well, obviously Lynch and Frost had to make do without Ontkean. It would have absolutely been more impactful to have Harry present instead of Frank, without any doubt in my mind. That being said, they could've done a Donna and just blanked him. 'Here's his brother, take him. Where's Harry? Oh, he moved away a while ago now...' You could argue that in a way this is what they did, and they had to try and make the best of a bad deal. I think they made the best. Also, note that they never say Harry's going to die. It's restrained and sensitive. On paper, Harry's 'material' is fine. But what sells it for me is the performances around it. Forster's pretty great as Frank, and that last call is heartbreaking. I just saw him as his big brother, I was convinced totally. I just feel it fits right in with the poignant, absent air of the whole story. People distant from those closest. I think Lynch and Frost know Harry's significance. The Return really does try to make you feel for him. But he isn't an important part of this story they told, wisely I think. It's this unfortunate, disquietingly real and tender footnote for me. IcedOver wrote: Just watched the trailer for the "Halloween" reboot (which for some reason is also called "Halloween", as if we didn't already have a second film with that name eleven years ago). Yeah, but that film sucked. Agent Earle wrote: I don't see anything careful and planned in the awful way of keeping Harry Truman around through use of a hokey plot device that is some mysterious illness that makes him impossible to be seen, just "heard" through telephone calls, and in the even more awful way of filling the void of his absence with shoddy, cheapjack replacement that is his brother, never once hinted at in the originals. I find it all insulting to the intelligence, to be frank. I have to disagree with you here. It's a great psychological trick to keep a character present and alive by continually mentioning them. Years from now, there will be many people who will swear that Ontkean was in The Return. This is exactly what was done in the old T.V. series "Eight Is Enough". Diana Hyland, the original mom, was only in four episodes before she became too sick to film. But you would swear she was in the whole season since they kept mentioning her, having phone calls, etc. mtwentz wrote: I have to disagree with you here. It's a great psychological trick to keep a character present and alive by continually mentioning them. Years from now, there will be many people who will swear that Ontkean was in The Return. I very much agree. I think that Harry's absence was handled as well as it could have been. My main concern had been that there would be a recast and that Forster would play Harry, so I was greatly relieved to find that this was not the case. Forster was excellent in his role. I think the way that Harry was handled, in light of the unfortunate circumstances, was about as good as possible. I could see an argument that his role should have been given to Hawk instead of Frank, but other than that, I don’t know what else they could have done. It sure would be interesting to see what those sheriff’s station scenes looked like in the script before Ontkean’s departure and Coulson’s illness necessitated what must have been VERY last-minute script changes (apparently they were planning on Coulson flying out to Washington up until very close to the day she died). Mr. Reindeer wrote: I think the way that Harry was handled, in light of the unfortunate circumstances, was about as good as possible. I could see an argument that his role should have been given to Hawk instead of Frank, but other than that, I don’t know what else they could have done. I also wonder what the presumed Harry/Will dialogue in Part 7 would have been like, given that they were both there with Cooper in Episode 29, creating a very different dynamic to the Frank scene. Mr. Reindeer wrote: I also wonder what the presumed Harry/Will dialogue in Part 7 would have been like, given that they were both there with Cooper in Episode 29, creating a very different dynamic to the Frank scene. 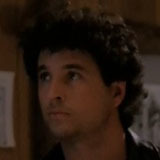 I'm not anywhere near 100% sure on this, but I thought Arbogast stated that the reason Warren Frost needed to be brought into The Return was because of Ontkean's absence. I know for sure Arbogast said Frost was brought in for a very particular plot purpose related to the night Coop came out of the Lodge (we now know what that purpose was, although at the time I assumed it was simply to verify that Coop had smashed his head against the mirror and was acting strangely). I don't remember with 100% certainty if Warren Frost being in The Return was a substitute for Ontkean's non-participation. I also wonder how the dialogue would've played out between Hawk & Harry after Hawk found the diary pages. I would guess that Will would have been in it either way. I imagine that Mark wanted his dad in the show, and even if Harry had been in the scene, Will is still the more likely character to have glimpsed Cooper leaving ICU (which is the main plot reason for his appearance). I also seem to recall Mark saying that the video of Warren was shot by Mark and his son in Middlebury before the main production even began shooting. But the Hawk/Frank scene would be different with Harry because it would presumably lose all the exposition explaining events of the original series (e.g., when Leland was present at that sheriff’s station), since Harry would be aware of all those things. Mr. Reindeer wrote: I also seem to recall Mark saying that the video of Warren was shot by Mark and his son in Middlebury before the main production even began shooting. Not much different, I guess. I think L/F pulled off an incredible feat here. They revisited Twin Peaks while managing to strip it of even the slightest potential for emotional involvement. For me, it was basically an 18-hour art installation which replaced any genuine humanity with a ridiculously convoluted mythology that I just couldn't find any value in whatsoever. This is the first time I have ever felt this way about any of Lynch's film work. If anything, I guess I'm more detached about it now. I don't like it or hate it, particularly, I'm just....completely indifferent to it. You go your way and I go mine, I suppose. I really liked Robert Forster as Frank Truman -- but I do think the scene where Candy Truman is freaking out about random domestic things might have been a little funnier with Michael Ontkean reacting to her (I'm thinking his reactions to Lucy describing Invitation to Love, or even his initial reaction to Coop's stone throwing). And even that scene where Frank has to comfort Candy about her dad's car not working might have had more obvious tenderness with Ontkean present. I mean, I think Forster is a great actor (I mean his role in Jackie Brown, come on), and he's a more subtle performer thank Ontkean, but maybe he was too understated to make a strong impression during these two brief scenes. Ontkean has a more obvious vulnerability though, and I think he would've lent a bit more emotion to The Return. But then again, I think we are all a little biased towards one of the options here. 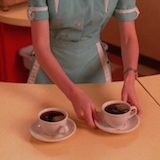 I'm glad that Ontkean was at least replaced by the original choice for Sheriff Truman, so in a way we can get a glimpse at the Twin Peaks that almost was. Last edited by Poiuyt on Thu Sep 06, 2018 3:38 pm, edited 2 times in total. Cappy wrote: I really liked Robert Forster as Frank Truman -- but I do think the scene where Candy Truman is freaking out about random domestic things might have been a little funnier with Michael Ontkean reacting to her (I'm thinking his reactions to Lucy describing Invitation to Love, or even his initial reaction to Coop's stone throwing). And even that scene where Frank has to comfort Candy about her dad's car not working might have had more obvious tenderness with Ontkean present. I had never thought about that scene before in the context of it being Ontkean instead of Forster, and I agree - it would have come across a lot differently. I think another poster had also mentioned the scene in Ep. 17 in the Sheriff's office, as well, and how it would have played much differently with it being Ontkean and it being a Harry/Coop reunion of sorts. I like Forster, and I know a lot of fans liked him in The Return, but I'm not sure why that was their choice in how to deal with Ontkean not being in the show. For me, it would have been much different if Hawk were acting Sheriff and all those conversations he had with Frank could have been with Bobby - particularly because of Bobby's backstory when he was a teen and his history with Laura. I think it would have taken his transformation as a character over the years full circle and would have been more impactful.